The Riverview Hayfields Preserve in South Thomaston is central to the vision for our Bridging Two Rivers project. The goal of the Bridging Two Rivers project is to protect a ‘land bridge’ between the St. George and Weskeag Rivers. This area supports most of the last remaining open hay fields on the St. George peninsula, and provides critical habitat and a ‘flyway’ for migrating birds that feed and rest along the two rivers. The 584-acre Riverview Hayfields Preserve not only provides valuable wildlife habitat, but protects significant river frontage, farmland, and recreational access lands. Nearly a half mile of frontage on the St. George River is permanently conserved as well as more than a mile of frontage on the Weskeag River. The Preserve is prominently located along Route 131 and across the Weskeag Marsh from Buttermilk Lane. With our partners, more than 1,400 acres of land have been conserved between the Weskeag and Georges Rivers. Since the Land Trust launched the Bridging Two Rivers regional vision in 2008, ten families have permanently protected over 580 acres through easement or transferring title to the Land Trust. 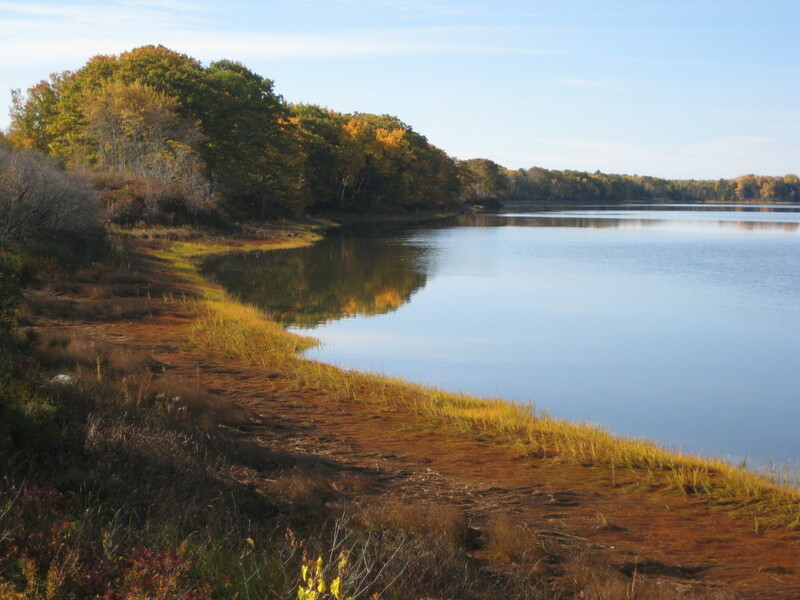 The state R. Waldo Tyler Wildlife Management Area conserved 700 acres, and our partner Maine Coast Heritage Trust has conserved another 200 acres. The Land Trust offers thanks to all our supporters – as this goal could not have been accomplished without the vision of the land donors and the many supporters. We are currently working on developing public access infrastructure, and you could help us as we build the Bobolink Trail. Our vision includes a parking lot, stream bridge, and picnic pavilion. Please help us with a Bobolink Trail donation! In the meantime, the Preserve and sweeping views across the hayfields toward the Georges River may be enjoyed by those driving along Route 131 in South Thomaston. To view the property, follow Route 131 south from Route 1 in Thomaston, toward South Thomaston and St. George. Just over the railroad tracks the 2013 200-acre expansion can be seen on the left, the 2016 addition is immediately across the road on the right, and the original Riverview Hayfields Preserve is on the right as well (watch for a wooden Preserve sign in the field)(see map).